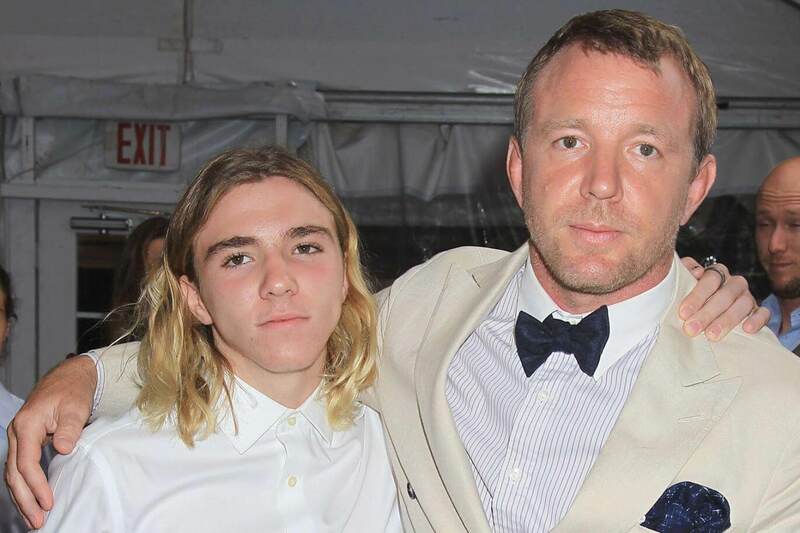 Rocco and Guy Ritchie. Photo courtesy of the Evening Standard. 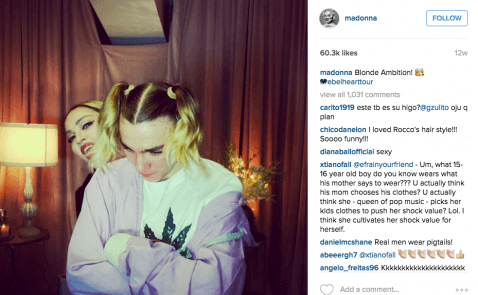 Summary: Madonna asks a judge to force her teenage son to come home for Christmas. 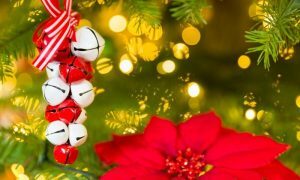 What would you do if your kid didn’t want to hang out with you for Christmas? Well, if you’re a celebrity, you can just have a judge force him to. That’s exactly what Madonna did. 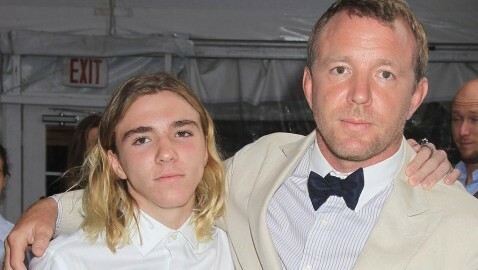 Her son Rocco Ritchie wanted to spend the holiday with his dad, director Guy Ritchie, but Madonna, 57, didn’t want that. She had a judge demand that her 15-year-old board a plane from London to see her in New York. Madonna was married to Guy on Dec. 22, 2000. They divorced in 2008. Rocco is Madonna and Guy’s only child together. The famed pop star told a Manhattan Supreme Court this week that she knew her son wanted to be in the United Kingdom with his father but that she wanted him home. Justice Deborah Kaplan granted Madonna’s wishes and ordered Guy to send their son back to the U.S. Billboard reports that The Rebel Heart Tour has grossed $80 million. Photo courtesy of Celebuzz. Madonna is currently in the middle of her Rebel Heart Tour, which Billboard states has earned $80 million. The Daily Mail reports that her teenage son was fed up being backstage for the past two months at her concerts. The singer heavily documents their experience on Instagram, and many of the pictures, while cute, are awkward and embarrassing for the teen. 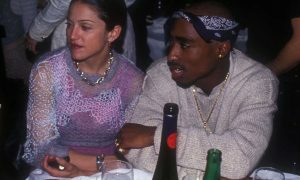 The Daily Mail speculates that it was the attention Madonna brought upon the teen that made him want his father for the holiday. Rocco channels his inner Miley Cyrus or Princess Leia. Photo courtesy of Instagram. 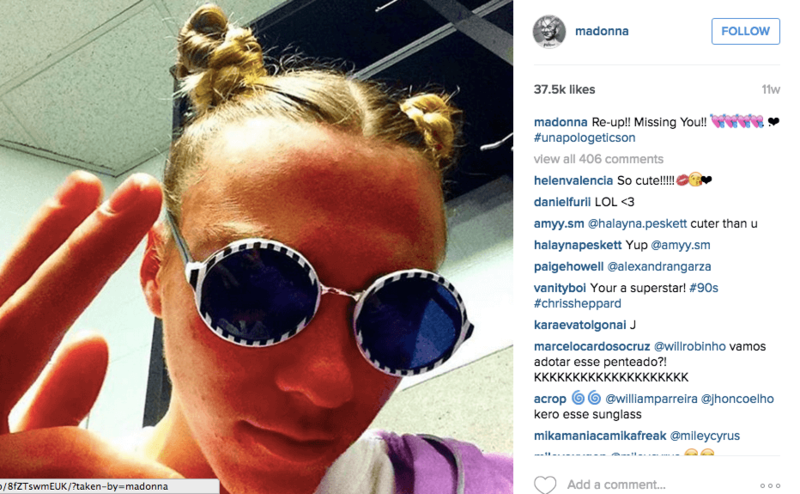 Madonna shoes off her son’s pigtails and weed t-shirt. Photo courtesy of Instagram.